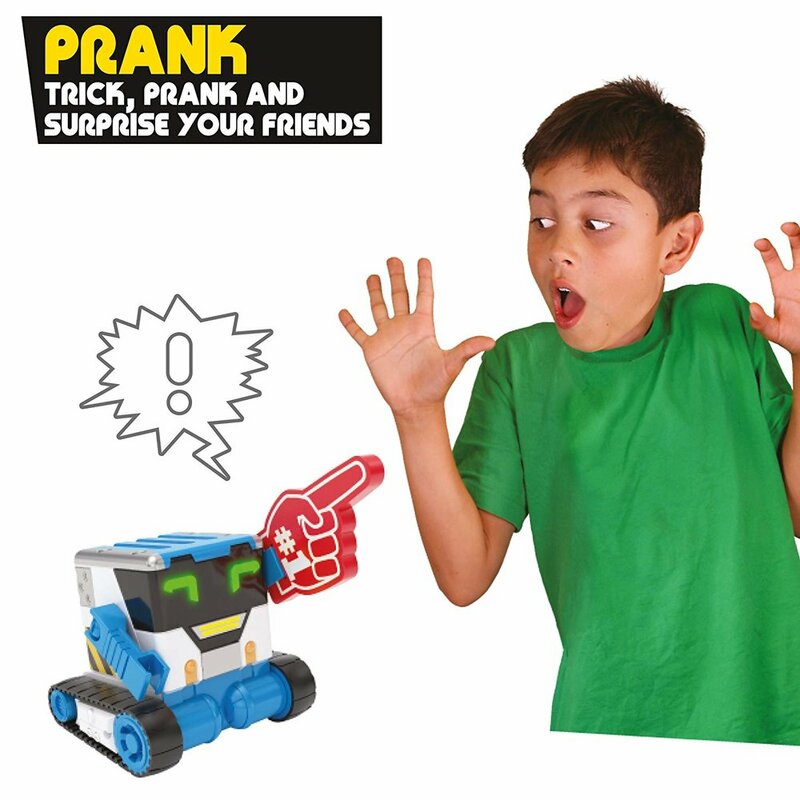 Really RAD Robots MiBro - Your Personal Prank Bot! Prank your friends using the really rad remote to speak through micro and add filters to your voice so you can sound even sillier…or scarier! Spy with MiBro and use him to listen in on any conversation and transmit it back through his really rad remote. What secrets will you find out? MiBro comes with a range of awesome accessories to keep you entertained! Use the attachable blaster to blast away your enemies, or use his tray to deliver refreshments! You can even use MiBro’s tray to carry your smartphone! The tray also transforms into a goal and can be used to score the winning goal with the included ball. Celebrate with a victory lap using MiBro’s mini over-sized foam finger. He'll impress your friends, he’ll save that day. MiBro, hard wired for fun, From really rad robots.